Engineers at the BBC have unveiled the perfect solution for football fans who want the immersive experience of being at a live World Cup match without the hassle of travelling to Russia: virtual reality broadcasting. The broadcaster has announced that all 33 of the matches scheduled to be shown on its channels will also be available through a dedicated app for VR headsets or compatible smartphones. 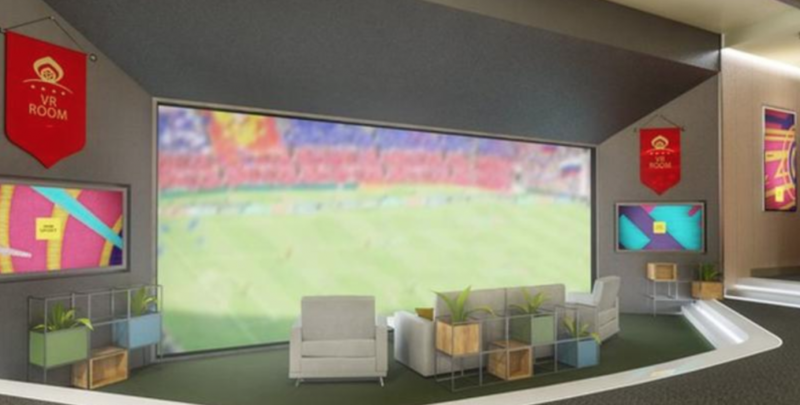 The free app, ‘BBC Sport VR – FIFA World Cup Russia 2018’ app will put users inside their very own luxury private box in a Russian stadium. If there’s a game on, they can watch from the best seat in the ground by heading over to the box’s giant viewing window and looking out onto the pitch from their BBC Sport sofa. From here, they will be able access a range of live match stats that pop-up from the virtual coffee table, or they can switch their view and choose to sit behind either one of the goals to get up-close to the action. As well as VR, the broadcaster will also be showing the entire tournament in Ultra HD. It will use the Hybrid Log-Gamma version of HDR it invented with Japanese broadcaster, NHK which is claimed to provide improved picture quality not only to HDR Ultra HD devices, but to the vast majority of Standard Dynamic Range Ultra HD devices too. The BBC said that the experience and data gathered from the trial will help it optimise UHD delivery in the future. The trial will also help the BBC and wider industry prepare for a time when delivering such large-scale events in such high quality, for larger audiences, over the open Internet is normal. The Ultra HD broadcasts will be available to a limited number of users on a first come first served basis via the BBC’s iPlayer service.